Because food and medicine are for sharing, there are loads of online foraging resources that are completely free—and they’ll deliver wildcrafting wisdom directly into your hands. But it’s essential to be discerning, because anyone can publish anything on the internet. And when it comes to foraging, we’re talking serious truth or consequences—to the tune of poisonous plants, mistaken identity, and wrongful ingestion. To help dispel any uncertainty, we’ve handpicked our most trusted blogs, YouTube channels, and podcasts to share with you. You might notice that some of these sites are the work of our friends, but we’re not being paid to promote a single one—we simply think they’re great. Of course, we probably missed some excellent resources, so feel free to fill us in! There’s a space for comments at the end of the article. Plenty of foragers are self-taught, but if you’d like to receive our personal mentorship, we’d be honored! 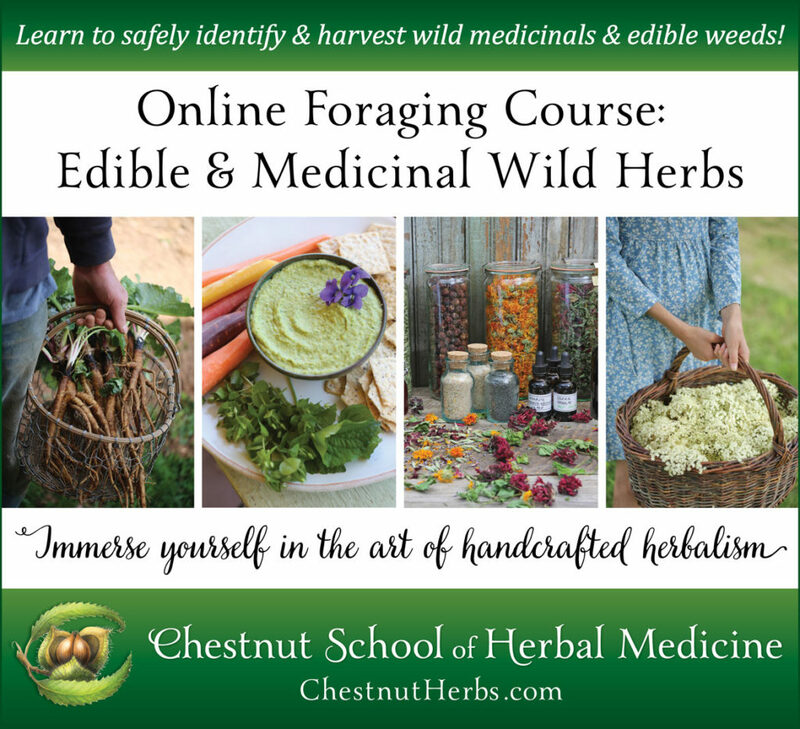 Our 375-hour Online Foraging Course: Edible and Medicinal Wild Herbs is THE most comprehensive online course on the topic. 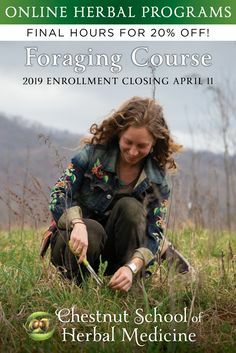 Registration for the Foraging Course is open now through April 11, 2019. You can also check out the wild foods section of our blog. And before you go a-harvesting, please take some time to read our article on Sustainable and Safe Gathering Practices. An excellent recipe resource for common wild foods— including greens, berries, nuts, fruits, mushrooms, and seeds. You’ll find plenty of information on gathering and preparing a wide range of feral foods and herbs but not much on identification, so please reference a reliable field guide as you forage. This is the blog of Ellen Zachos, a Harvard graduate, author, forager, and gardener based in New York. Our own personal blog! Come join Chestnut School queen bee, Juliet Blankespoor, for a hearty dose of botanical beauty and wisdom. Her blog is brimming with herbal anecdotes, plant monographs, gorgeous photography, and wild food recipes—all written with cheeky humor and true plant passion. Juliet is a writer, teacher, forager, photographer, and plant-human matchmaker who lives in the Appalachian Mountains of North Carolina. 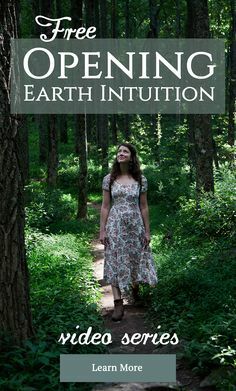 You can read about her favorite general herbal blogs here and visit her Pinterest page, which features loads of resources on wild foods and foraging. A regional blog on the herbs and food plants of the southwestern United States and northern Mexico. Filled with place-based writings, this is a valuable site for those living or traveling in the Southwest. The blog is penned by John Slattery, an herbalist, forager, and writer who calls the Sonoran Desert home. John is also the author of Southwest Foraging: 117 Wild and Flavorful Edibles from Barrel Cactus to Wild Oregano. A UK-based blog written by ethnobotanist and world traveler Robin Harford. Robin’s blog is an excellent resource featuring traditional and modern herbal monographs, recipes, videos, and a podcast on wild foods and foraging. Robin explores many plants (including seaweeds and tree foods) and includes lots of tidbits about wild food culture. Although the blog is specific to Britain, many plants discussed will be applicable to other parts of the temperate world. The website is clean and easy to navigate—always a bonus. The blog of Green Deane, a third-generation wildcrafter and “the most watched forager in the world.” His website is an impressive resource, featuring more than 1,000 wild foods and herbs. Because the content is so substantial, I recommend using the Search feature if you’re looking for a specific plant and the Archive tab if you’d rather scroll through posts. You’ll also find an excellent series of videos on plants (helpfully arranged by season), a good introduction to foraging under the Foraging tab, and a fantastic YouTube channel. Deane is based in Florida but writes and teaches about plants around the world. An online field guide curated by Karen Stephenson, a Toronto-based herbalist, writer, and wild foods enthusiast. Her site is blessedly easy to search by category: weeds, flowers, fungi, and recipes. Each plant profile includes identification traits, along with comments on edibility and preparation. Her blog, which features botanical musings and articles on health, foraging, and plant medicine, can be found under its own tab. An interactive map that celebrates the overlooked culinary bounty of our city streets—especially dialing in on fruit trees and edible weeds. The map includes data added by neighborhood foragers and professional surveyors, and you can contribute too! Global in scope, the map includes North America, South America, Australia, Europe, and Southeast Asia. This is a nonprofit project directed by Rocky Mountain foragers Caleb Phillips, Ethan Welty, and Jeff Wanner. An online guide to foraging teachers, classes, events, clubs, and schools in the United States (organized by region). The site also includes a book list and a survey of online plant databases. One of my favorite wild food blogs, impeccably written by Dina Falconi and illustrated by Wendy Hollender. Dina shares seasonal recipes for herbal beverages, greens, savory dishes, and desserts, along with engaging writing on gathering and preparing wild foods. She frequently includes excerpts and master recipes from her book, Foraging & Feasting: A Field Guide and Wild Food Cookbook (which is highly recommended and can be purchased directly from the author here). I use recipes from Dina’s blog and cookbook more than any other! 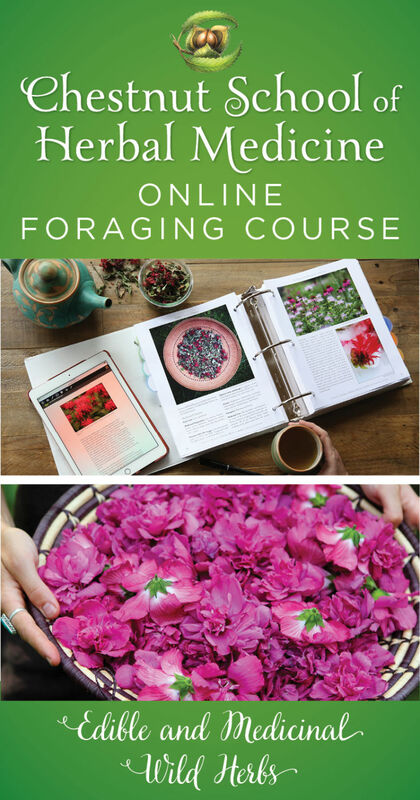 Dina is also a recipe contributor in our Online Foraging Course. An absolutely fabulous blog on wild food, magical cookery, and seasonal celebration. You’ll be treated to recipes for wild foods and drinks that range from simple to decadent, and there’s always an accompanying story. This is home-style, creative wild foods cooking with a mythic twist. The blog is written by Danielle Prohom Olson and Jennifer Aikman, who live and gather in British Columbia, Canada. Their recipes and writings are applicable to the temperate world and will soon have you taking part in wild, nourishing, and enchanting food traditions. Henriette Kress is an herbalist and writer who grew up in Germany and Swedish-speaking Finland and who now practices herbal medicine in Helsinki. Her blog is a wealth of brief but useful herbal monographs that include information on plant identification and medicinal use, plus occasional recipes. Because her blog features a mix of English, Swedish, and Finnish entries, use the search engine in the upper right corner of her page to find information on specific plants. A free monthly newsletter published by Kiva Rose and Jesse Wolf Hardin, who live in the Gila Wilderness of New Mexico. Every issue varies, but frequent features include herbalist interviews, plant profiles, recipes, and herbal editorials. 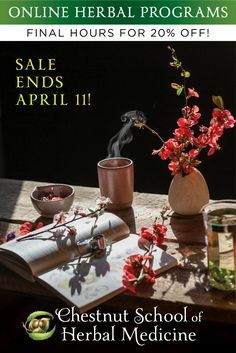 Kiva and Jesse are the same incredible folks who publish the quarterly Plant Healer Magazine and host the annual Good Medicine Confluence—one of the most enchanting herbal gatherings in North America. The online home base for Jim McDonald, a self-taught Michigan herbalist who has an utterly charming and humorous approach to writing and teaching about herbs. Jim shares some excellent herbal monographs on his website (occasionally accompanied by videos) that frequently include material you just won’t find anywhere else. He’s also compiled a fantastic Master Herbal Article Index, which features a gold mine of selected writings from herbalists on all kinds of topics, including wildcrafting. Highly recommended. One of my favorite blogs to share with herbal newcomers. Rosalee de la Forêt is a heartwarming online presence, and she writes extensively about herbs for health, food as medicine, and how to develop a connection to the natural world. Her articles are conveniently arranged in alphabetical order, and she has an index featuring her recipes—which are typically easy to prepare and ultra nourishing. 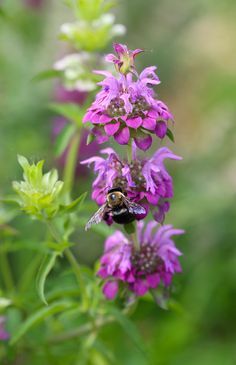 Rosalee also shares a list of Sustainable Herb Farms and Ethical Wildcrafters in the United States and Canada, if you’re looking to purchase high-quality herbs. Rosalee is the author of Alchemy of Herbs: Transform Everyday Ingredients into Foods and Remedies that Heal and a recipe contributor in our Online Foraging Course. A well-written and nicely photographed blog by Hank Shaw, a West Coast forager and hunter whose theme is “honest food.” In other words, he gathers and eats the most ethical, local, and whole foods he can find. His writing is thorough, and he shares how to identify, sustainably gather, and prepare a wide range of temperate wild greens, mushrooms, nuts, and vegetables. And as the name implies, this blog is about more than wild plants—you’ll find recipes for wild fish and game as well. If you like what you see, Hank also has a great podcast called Hunt Gather Talk. The wild, weedy blog of Kiva Rose, a splendid writer and folk herbalist who has published a phenomenal number of articles on traditional herbalism, wild foods, foraging, and weedivory. You’ll find fantastic herbal monographs, personal stories, clinical wisdom, wild musings, and wonderfully creative recipes on her site. I recommend using her Post Index to search for articles by theme. Kiva lives in the Gila Wilderness of New Mexico and is a recipe contributor in our Online Foraging Course—sharing her rambunctious take on wild, herbal soul food. An extensive online database featuring more than 7,000 edible and medicinal plants, many of which can be found growing wild throughout the temperate world. To make the most of this site, you really need to use the Search tool to find specific plants. Profiles include identification, medicinal use, edibility, cultivation, and information on related species. A charitable organization, Plants For A Future was originally founded by Ken and Addy Fern in Cornwall, UK. Michael Moore was one of the herbal greats of our time (and one of Juliet’s primary herbal teachers), and he’s left behind a wonderful online legacy, where many of his tongue-in-cheek teachings are now available for free. If you’re a serious student and can handle the screen time, his Materia Medica (available through this link) is highly recommended. He’s also the author of a number of books that are invaluable for herbalists and foragers in the Southwest, Pacific Northwest, and Rocky Mountain regions of the United States. The blog of dear friend, teacher, botanist, herbalist, and comedian 7Song. This generous guy shares his teaching handouts online, which include spring and fall wildcrafting lists for the northeastern United States, plus a review of botanical field guides for much of the country by region. His blog features detailed plant monographs (with identification), tales of his travels, and lots of writings on first-aid herbalism. 7Song is the director of the Northeast School for Botanical Medicine and the Ithaca Free Clinic in Ithaca, New York. He hosts an apprenticeship program through his school and takes students on service-based trips throughout the country and abroad. A delightful family of foragers who gather, photograph, and blog about wild food from the northeastern and coastal United States. This is a terrific resource, with lots of excellent photos, wild foods identification, recipes, and features on invasive plants (yes!). Most of the plants discussed have a broad range throughout the temperate world, but you’ll find some outliers—like a series on the edible plants of Hawaii. There’s also a video library and a scrumptious recipe section (featuring fare like chestnutella, a chestnut-inspired riff on Nutella; dandelion flower pasta; and bamboo rice cakes). A highly intelligent and wild-spirited blog written by Rebecca Altman, a Southern California herbalist and forager. Rebecca writes outstanding plant monographs (find these under the Writings tab), editorials on healing and wild places, and some fascinating pieces on the elemental temperaments (a constitutional approach to health and healing). She features mouthwatering wild foods recipes like nettle seed salt and acorn shortbread with white sage icing. I dearly wish her site had a recipe index, since these treasures are sprinkled throughout her many posts, but even so, it’s worth scrolling and spending some cozy time on this blog. Also, I highly recommend signing up for her newsletter, which features all kinds of seasonal herbal wisdom. I love the thorough and botanically well-informed nature of this blog, written by Abe Lloyd. Abe lives in the Pacific Northwest and writes about the plants of that bioregion (many of which also grow throughout the temperate world). His articles share wonderful information on identifying edible plants and berries, accompanied by vivid photographs, indigenous uses, and preparation suggestions. Abe has a master’s degree in ethnobiology and has been foraging wild foods for the past decade. One of the wild godfathers of modern foraging, Steve’s blog shares top-quality information on identifying, gathering, and using many wild plants and mushrooms. You can catch him in person leading plant walks throughout the northeastern United States or access TV and radio clips of his teachings (via the home page on his website). He’s also the author of one of my very favorite foraging field guides: Identifying and Harvesting Edible and Medicinal Plants in Wild (and Not So Wild) Places. The blog of Robin Rose Bennett, an elder herbalist and writer whose teachings are infused with earth-based spirituality and intuitive wisdom. She writes about many temperate-climate wild herbs, but you won’t find a great deal on identification, so be sure to reference a reliable field guide when foraging. You’ll also want to check out her Plant Medicine Series on video. Robin lives in New Jersey, is the author of The Gift of Healing Herbs: Plant Medicines and Home Remedies for a Vibrantly Healthy Life (one of my favorite herbals), and is a recipe contributor to our Online Foraging Course. Get ready to be charmed by this herbal blogger—Asia Suler is simply one of the most enchanting, tuned-in medicine women I know. Her blog is a treasury of herbal musings, recipes, earth magic, beautiful writing, and photography. I promise you will find a rare depth in her teachings. You can also connect with Asia on YouTube and by subscribing to her newsletter, which delivers heart medicine and herbal offerings to your inbox every month. Asia is the herbal concoctress at One Willow Apothecaries and is one of the primary instructors in our Online Herbal Immersion (not to mention, a recipe contributor in our Online Foraging Course as well). The videos on Deb Soule’s YouTube channel are a joy to behold, as she truly loves and connects with plants. 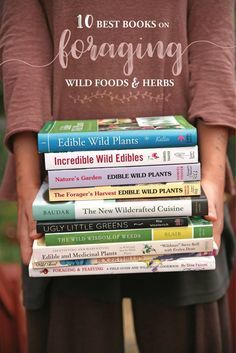 She shares real wisdom on both garden and wild herbs, including medicinal uses, harvesting, and preparation suggestions. Deb is the founder of Avena Botanicals, a handcrafted herbal remedies company that grows nearly all of their own herbs on a certified biodynamic farm in Midcoast Maine. She also writes a fantastic blog and is the author of How to Move Like a Gardener. True, we already mentioned Green Deane in the blog category, but his videos are so popular we had to include another link to his YouTube channel, which features nearly 150 clips on wild foods from around the world. A truly excellent podcast hosted by Ayana Young, an Earth steward who lives among the California redwoods. While Ayana’s interviews rarely focus on wild foods in particular, she delves into subjects that are crucial for relating to the wild world at this time. I especially recommend these episodes: Rosemary Gladstar on United Plant Savers, Peter Michael Bauer on The Survival of the Wildest, Miles Olson on Making a Life in Wild Places, Stephen Harrod Buhner on Plant Intelligence and the Imaginal Realm, and Robin Wall Kimmerer on Indigenous Knowledge for Earth Healing. A wonderful radio podcast (the real gem here) featuring interviews with a fantastic collection of herbalists, naturalists, and foragers including Doug Elliott, Rosemary Gladstar, Jon Young, Thomas Elpel, Dina Falconi, James Duke, Emily Ruff, and Wildman Steve Brill. The YouTube channel is also worth checking out and includes a modest selection of videos on identifying, gathering, and preparing wild plants. 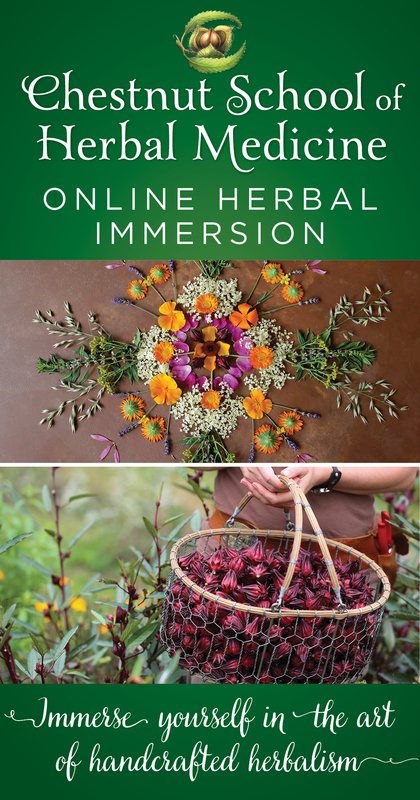 HerbMentor is part of an online herbal learning community cofounded by John and Kimberly Gallagher, who also facilitate LearningHerbs. A YouTube channel with loads of engaging videos on learning about the wild food and medicine growing all around us. There’s an emphasis on mushrooms, but plenty of wild fruits, vegetables, and herbs are included. The channel is hosted by Adam Haritan, a Pennsylvania-based forager. Joe Hollis’s YouTube channel shares an incredible collection of videos on wild woodland and meadow medicinals (alongside other Western and Chinese herbs that can be cultivated in the garden). Mountain Gardens is Joe’s home and a botanical paradise featuring the largest collection of native Appalachian and Chinese medicinal herbs in the eastern United States. 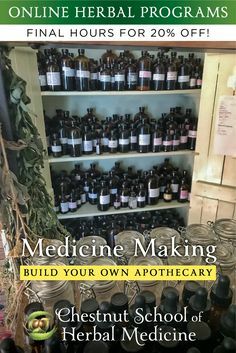 Joe sells plants and seeds, shares a self-serve library and herbal apothecary, and offers plenty of incredible classes, which you can check out here. We know there are plenty more fantastic foraging resources on the web. If you have a personal favorite, we’d love to hear about it (especially from our friends in Australia and New Zealand)! And if you enjoy following herbal writers online, check out the blog roll of Rosalee de la Forêt: A Complete List of Herbal Blogs. Are you intrigued with the idea of foraging but intimidated by where to start? Take a sneak peek into our 375-hour Online Foraging Course: Edible and Medicinal Wild Herbs. The course begins with the basic ground rules of foraging safety and ethics, and then moves on to botany and plant identification. Before you know it, you’ll have the skills and confidence to safely identify and harvest wild plants. You’ll befriend THE most common edible and medicinal wayside plants, including dandelion, stinging nettles, violet, yarrow, burdock, rose, goldenrod, and many others. The printable manual is over 600 pages long and filled with close-up photos for identification, medicinal uses, and loads of easy-to-follow recipes. In fact, most of our plant profiles contain more detail than you’ll find in any book on wild foods and herbs. Registration for this online course is only open once a year and is now closed until 2020. 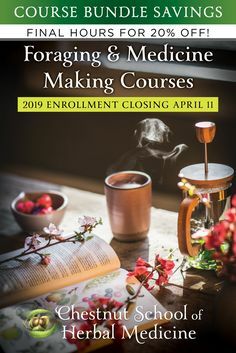 Check out our other online programs, which have ongoing enrollment: The Herbal Immersion Program (includes the Foraging Course) and the Medicine Making Course. 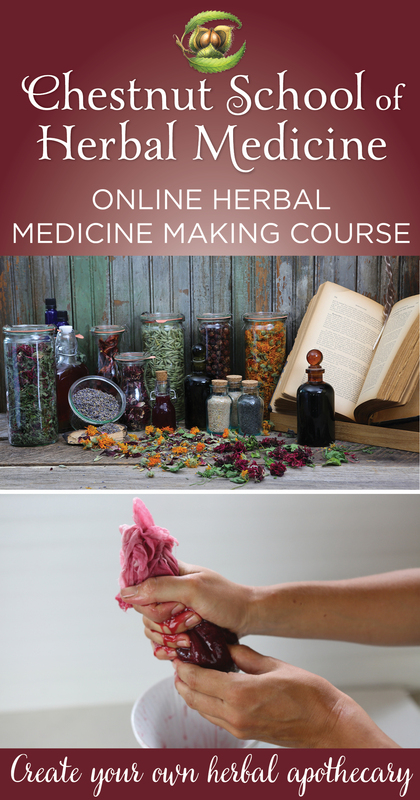 Sign up here for free tutorials (videos + articles) on foraging and herbal medicine, and to be notified when enrollment reopens. This entry was posted in Foraging For Wild Edibles and Medicinals, Wild Foods and tagged best blogs on edible wild plants, best blogs on how to forage, best blogs on wild foods, best foraging podcasts, best foraging videos, best foraging youtube channels', best online foraging resources, edible herbs, edible plants, forage edible plants, foraging, foraging courses, herbal medicine, herbal medicine school, herbal schools, how to identify wild plants, learn how to forage online, learn how to identify wild plants, medicinal herbs, online herbalist classes, wild edible, wild medicinals, wildcraft, wildcrafting. Bookmark the permalink. Great list. I’m doing some work on my site. Hope to enter your list in the future. Thanks so much for this valuable resource. thank you so very much for this post. it is greatly appreciated! i can’t wait to really dive into these fantastic resources and i feel so much better knowing that i can actually trust their information. THANK YOU!!! Your stewarding and dedication to the plant kingdom is humbling. THANK YOU!!! Thanks so much for another valuable resource! You guys are the best! Great list! 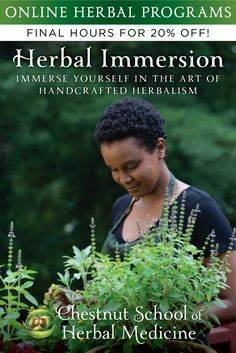 Also The Practical Herbalist and Real Herbalism Radio! What a huge gift! I have been foraging for food and medicine in pristine forests, fields and shorelines for many years … Michael Moore was one of my most wonderful teachers, too. Thank you a thousand times over for this valuable list.